Course Description: Today’s injection molding technology demands a well-trained production team. The science behind injection molding and ever increasing machine capabilities dictate that a technological approach to molding is the key to business success. We use the latest in 3D animations to take you inside the molding process, showing you what you can’t see on the production floor. Plastic behaves to predictable physical laws and doesn’t know or care what type of machine it’s in, the time of day, or the part it makes. Understanding processing from the plastics point of view (PPV) is the key to world-class molding. Combined with SkillBuilder, our injection molding machine simulator, our interactive training is the most effective learning platform available. Imagine learning the scientific techniques of injection molding, then immediately practicing those skills on a molding machine simulator. There is no better way to learn! 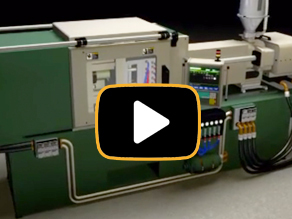 In this lesson we describe the basic parts and operation of an injection molding machine. Both electric and hydraulic machines are covered. Injection molds produce the finished part. They are often complicated and expensive. This lesson covers the parts and operation of the three most common types of molds: two plate, three plate, and runnerless molds. Plastic has some unique characteristics. An understanding of plastic behavior is critical to becoming an expert molder. This lesson explains plastic behavior during molding. Understanding the fill, pack and hold phases of the molding cycle are critical to good molding. Today’s machines are highly capable of speed and pressure control during molding. This lesson explains how these controls operate. In this lesson we continue our molding machine controls descriptions by explaining the timers, the temperature controls and the clamp controls of the machine. A review of the sequence of the standard injection molding cycle with emphasis on timer operation. 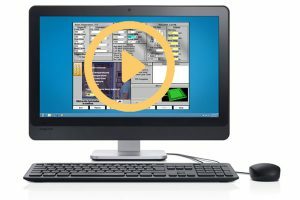 Learn how to operate the control panel of the molding simulator and how to interpret SkillBuilder outputs like fill time, cycle time, melt temperature, part size, and part weight. Teaches the effects of setting SkillBuilder’s 5-step fill rate profile on cavity fill time and part characteristics. Learn the proper setting for the injection limit timer, which shuts off the injection pressure if the VPT setpoint is not reached. Discusses how to set the maximum injection pressure setting so the fill rate control never lacks the pressure it needs to fill the cavity according to the fill rate profile. Focuses on how to set various holding pressures to determine the effect on the molded part weight and length. Examines how raising and lowering the back pressure setting affects the melt temperature and the maximum allowable back pressure setting and the effects of exceeding it. Vary the temperature setting of each barrel zone temperature, one at a time, to determine how each zone affects the melt temperature. Learn how to match the actual melt temperature to the front zone barrel setting; a good molding practice. Set different core and cavity mold temperatures to determine the effect on peak cavity pressure and part dimensions. Learn by setting various screw rpms, the effects on the melt temperature and the plasticating time (the time required to convey the next shot of plastic ahead of the screw). Examines the effects of the screw back setting on the cushion size and on the melt temperature. Students can change the screw back position to increase and decrease the cushion size. Learn the effects of mold closed and open time on the melt temperature. Set the mold closed time to the minimum required to make a good part. Learn how the molding conditions affect the amount of clamp force required and how to set the clamp force to the minimum required to produce a good part. Use knowledge gained in previous lessons to accurately achieve a desired melt temperature. Learn that front zone barrel temperature and the melt temperature often don’t match and examine the various machine controls available to alter the melt temperature.